How much for the Revo 3.3? You are definitely the sanford and son of rc... I'm sure you got a great deal too. What would you let your Tmaxx 3.3 go for? I have a Revo 3.3 if you're interested. I don't know my 1/10's well enough to know what I'm looking at by the bodies..
Got any electric RTR's for a good price? 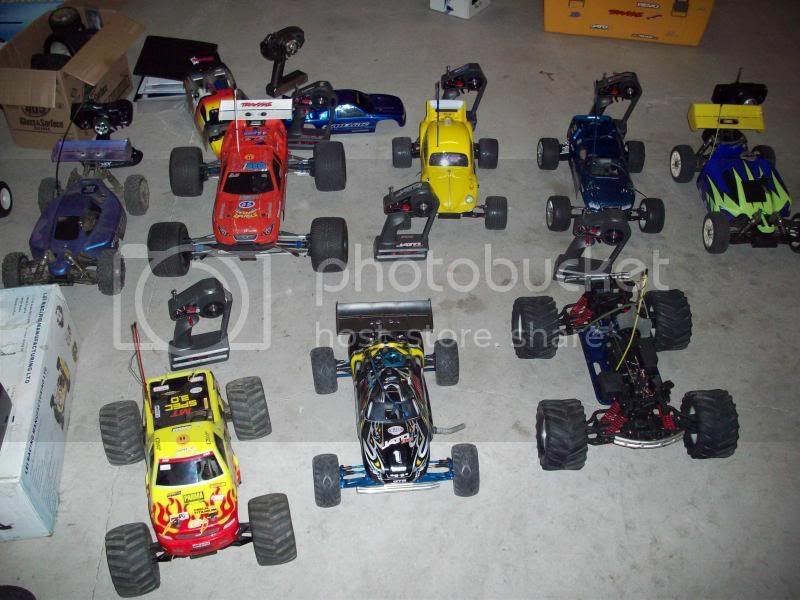 SO MANY RC'S....lets see, you can run 2 with your feet, and 2 with your hands....lol. I just looked on craigslist and there are some AWESOME deals near me! 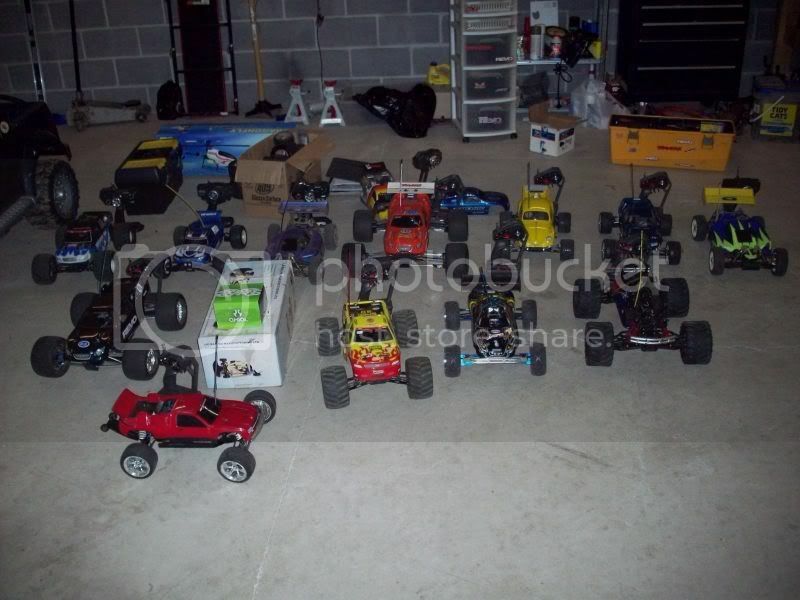 I could get as many rc's as you have here for like $600! That's if....I had $600. But I came across some awesome, dirt cheap deals. I'll have to save my nickels and dimes and get my first nitro. 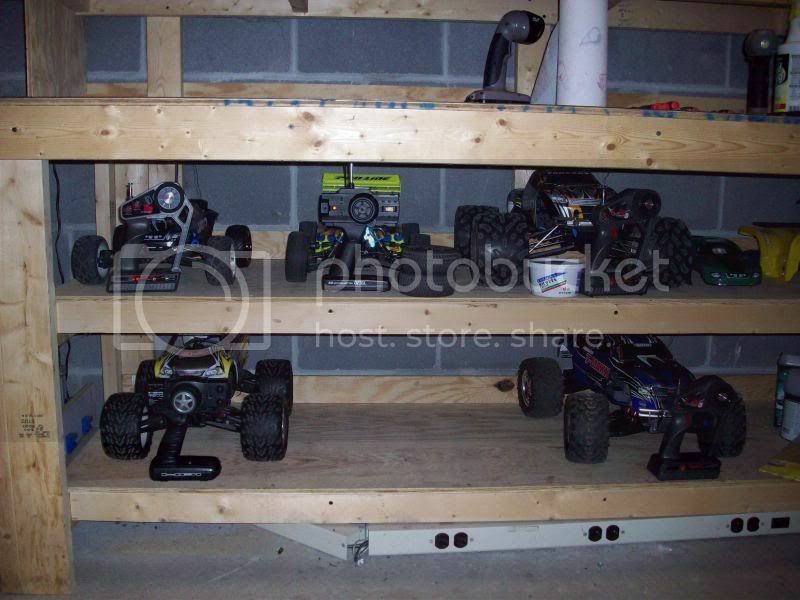 Doubt I'll ever have as big of garage as you, that's a sh!t load of rc's! Dang I gotta look on craigslist but for more planes to my stable maybe even more heli's. 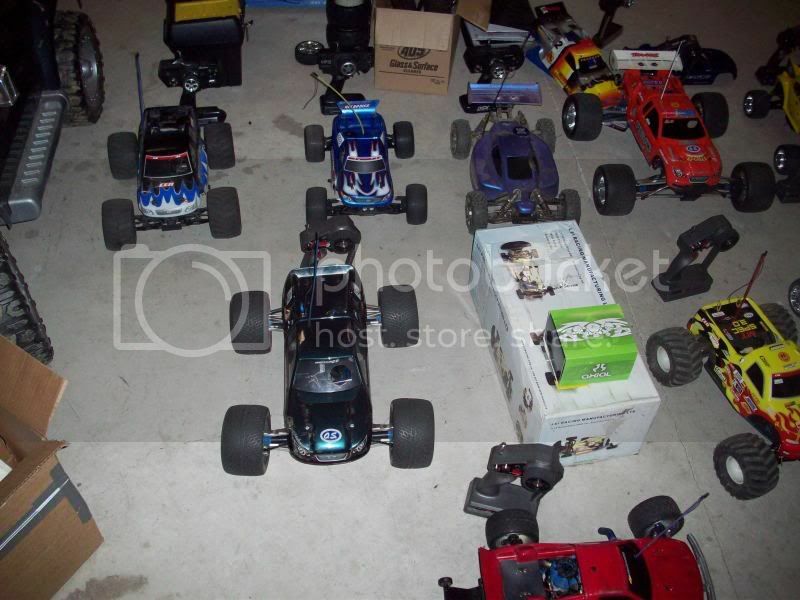 I have too many land RC's none for sale. Hmm nice score though but that Jato shouldn't have a wing haha. I think my 2 brushless trucks, many brushed, my boats and nitro Stampede and my Eflite MCX need some more friends so I gotta look around.